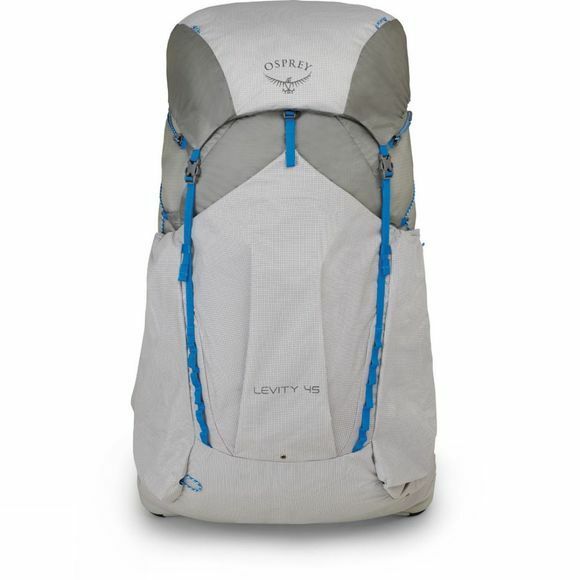 The Levity 45 Rucksack from Osprey is the perfect combination of lightweight, advanced materials and design. Made from ultra-lightweight fabrics and featuring an AirSpeed trampoline mesh back system that lets your back breathe even when you are pushing yourself. With the ExoForm mesh hip belt and harness system, you get a comfortable fit so you make sure the bag doesn't weigh you down even when it's full. 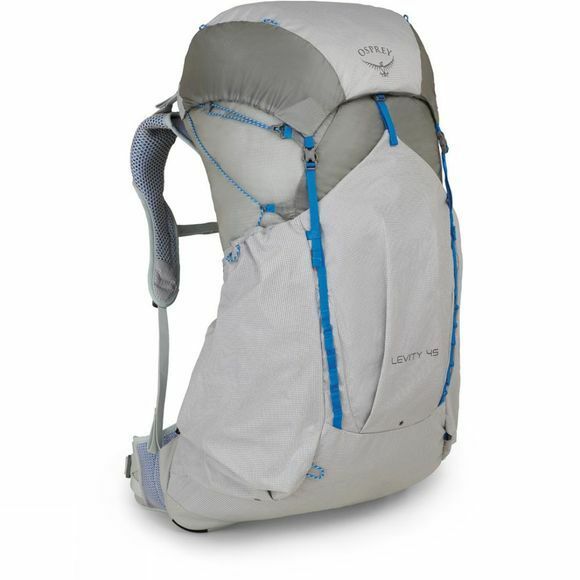 With lots of pockets and access points, there is plenty of room for all your gear.